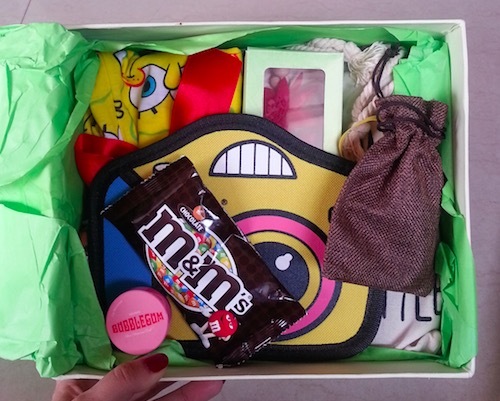 Hey everyone, today I’m going to share the review of a new monthly subscription box named Sugarbox. 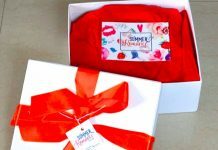 I absolutely love the idea of monthly subscription boxes as it is the best way of exploring new products, brands, trends and also you get surprise products every month. I have reviewed most of the popular subscription boxes available in India like Fab Bag, My Envy Box, MSM Box and today I’m reviewing Sugarbox which is a new addition to my monthly subscription boxes. Before sharing the contents of my March Spring Edition Sugarbox, let me tell you what exactly the Sugarbox is. About Sugar Box : Sugarbox is a curated box full of exclusive goodies which are hand picked by the team of in-house stylists and epicureans. By subscribing to Sugarbox, you will receive the latest international offerings in fashion, beauty, lifestyle and gourmet products at your doorstep, every month. Not to mention the first bragging rights that come with it. Get your Sugarfix, because samples are passe (out of date) and you deserve a box of happiness filled with full size branded goodies. Four subscription options are available – monthly, 3 months, 6 months and yearly. 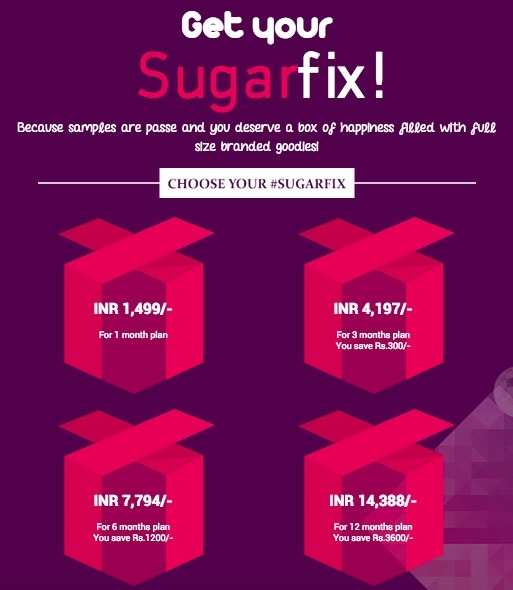 Click here to book your Sugar Box. 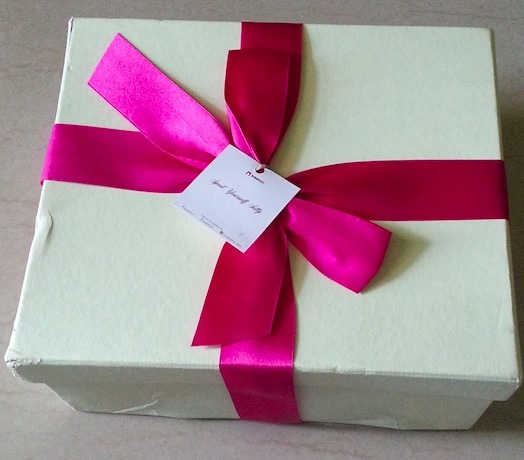 Contents of March Spring Edition Sugarbox : All the products were placed nicely inside a square carton gift box with a vibrant pink ribbon bow. 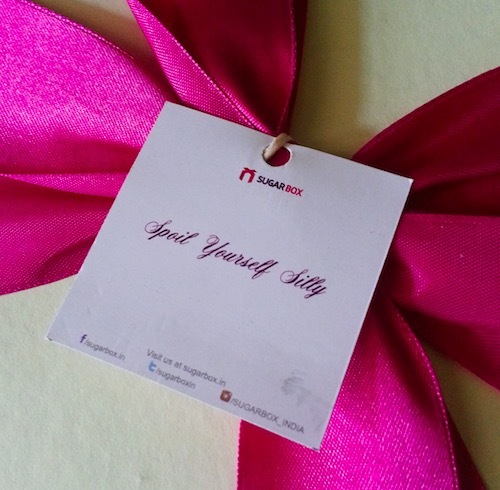 I really liked the tag line of the Spring Sugarbox which says “Spoil Yourself Silly”. I received total of 7 full size products from different categories like fashion, beauty, home, clothing etc. Let’s check out each product individually. Nyassa Bubblegum Flavoured Lip Balm : The lip balm comes in a cute baby pink jar with a screw cap. It has a frozen butter kind of texture and smells exactly like one of the bubblegum. It moisturises the lips well without feeling sticky or heavy on the lips. 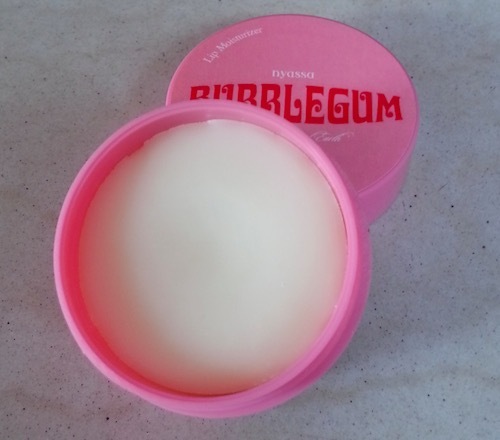 The price of Bubblegum flavoured lip balm is Rs.150 for 10g. Necklace : Next I got this beautiful multi-colored necklace, placed inside a brown potli. I really liked the design and color combination of the neck piece, ideal for the summers. 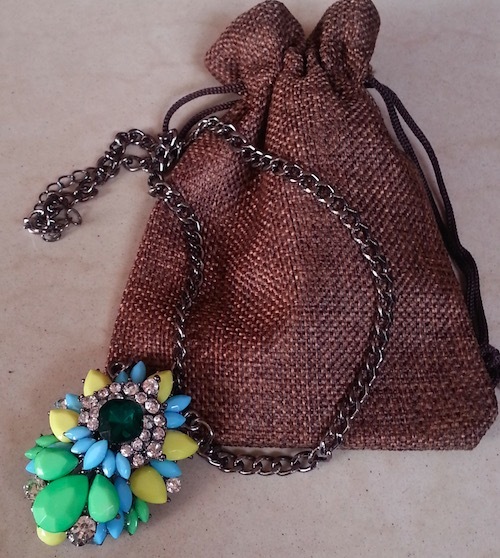 This necklace will look good with western outfits, specially with the collar tops. The price of the Necklace is Rs.899. 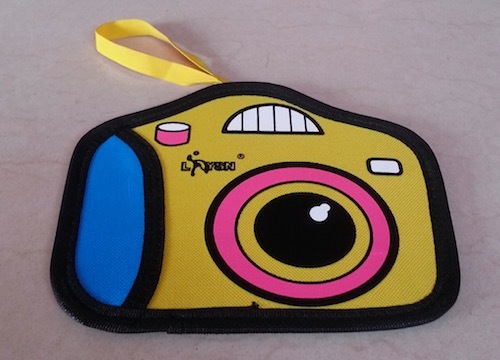 3D Comic Purse : I received this funky camera shaped 3D coin purse. It comes with a zipper at the backside. It will not hold much money or other things, but you can carry it for the fun outings. 3D comic purse price is Rs.499. 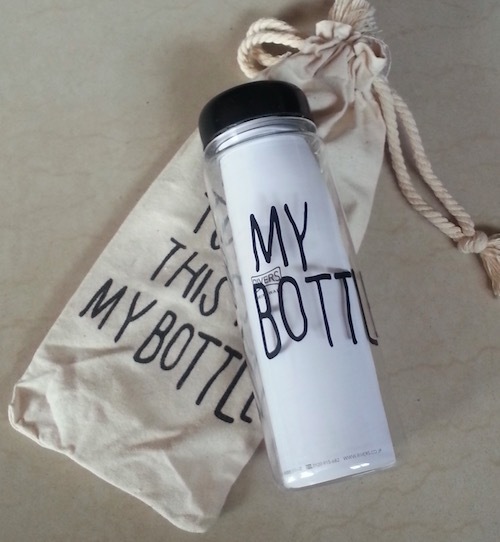 My Bottle Tumblr : Sugarbox team sent this 500ml plastic water bottle which is a must have for the summers. Along with the top lid on the mouth, this bottle also has a plastic lid inside the mouth with a small opening for controlled-consistent water flow while drinking. My bottle tumbler price is Rs.550. Spongebob/lovestruck Cow Pjs : The pyjama is my favorite product from the Spring SugarBox. I just love its yellow color and cartoon (SquarePants SpongeBob) print all over. The fabric is really very soft and airy, ideal for the springs. 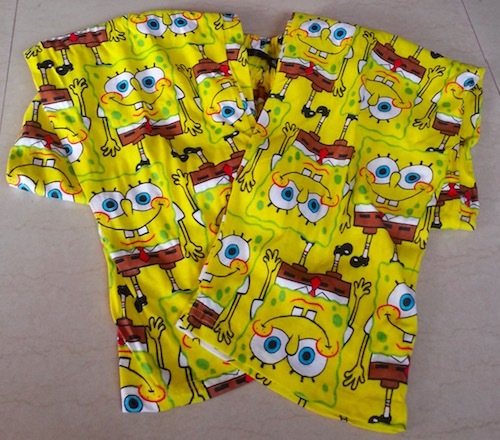 Spongebob/lovestruck cow Pjs Price – Rs.650. 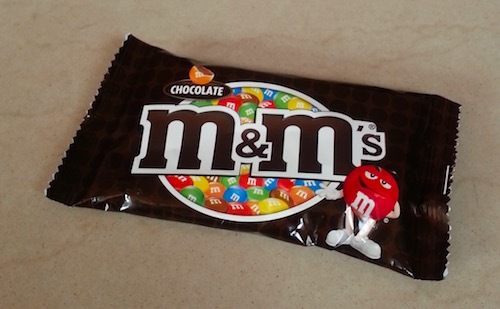 m&m’s Chocolate Pack : M&M’s are “colorful button-shaped chocolates” produced by Mars, the same company which also sells chocolate bars like Snickers & mars. 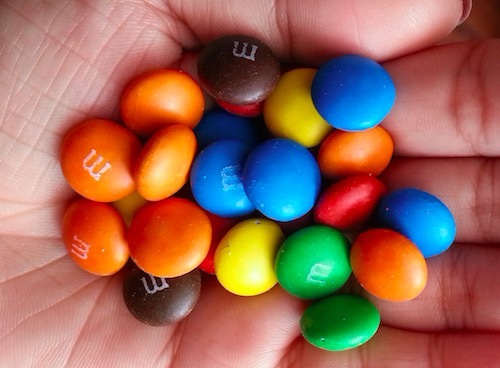 m&m’s pack price is Rs.100 for 45g. La Parfaite Reed Diffuser : Last but not least, the Spring Sugarbox contains an aromatherapy diffuser which includes 2 red dry flowers, 2 ratten sticks and a round glass bottle filled with oil. I really like its mild floral fragrance, you can use this diffuser in the bed room or bathroom. 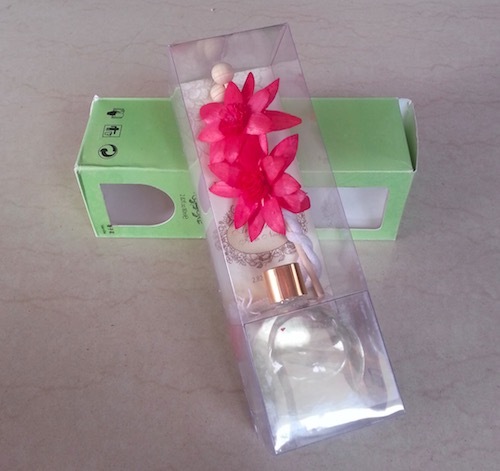 La Parfaite reed diffuser price is Rs.450 for 80ml. 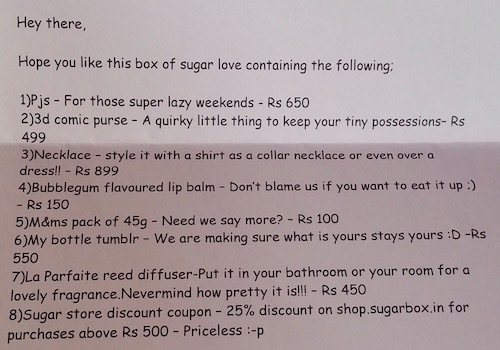 Along with all the full size products, the Sugarbox also contains a 25% discount coupon on purchase of Rs.500 or more @ their website sugarbox.in. Unfortunately I didn’t get the discount coupon, I don’t know wether they forgot to send the coupon or purposely didn’t send it (as they sent this box free for the reviewing purpose). Sugarbox Spring Edition Price is Rs.1899 and you will get products worth Rs.3298. I totally loved the Spring Edition Sugarbox. 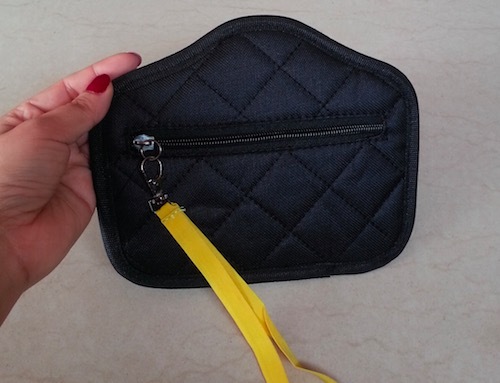 It was filled with 7 full size goodies from different categories unlike other beauty subscription boxes in India which only contains beauty products. I recommend Sugarbox to everyone as every month you will get a box full of surprises. 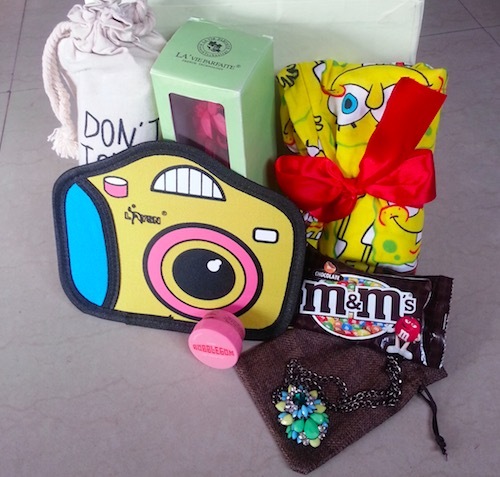 You can also surprise your dear ones with this value for money monthly subscription box. I'm looking forward to subscribe it for at least a 3 months plan. the items are nice, but they didn’t blow me away! 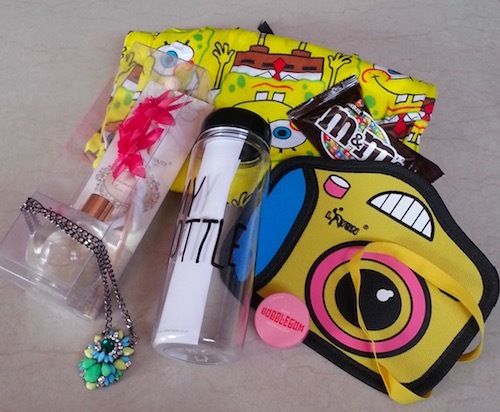 Love the cute water bottle though!